So many memories live in this cabinet . . . The first gift I bought my mom with my own money is the vase on the right. Years later I realized she didn’t even like it – I had chosen a design I was drawn to. Yet, she saved it all these years. 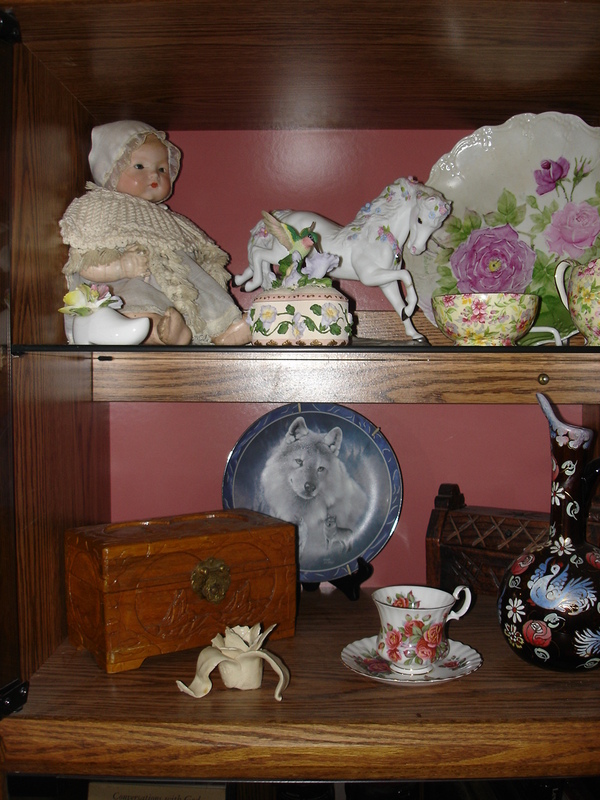 There’s a lumpy clay flower Brin made in elementary school; a ceramic shoe with flowers from a boy who liked me; a wolf plate my dad gave Brin; a hummingbird music box my dad gave me (his last gift); tea cups from my aunt; and a doll I’ve had since I was a baby. My mom saw this doll head in a shop window a few months after I was born, and was captured by how much she looked like me as a baby. She ordered a body, and Tammy has been with us since then. 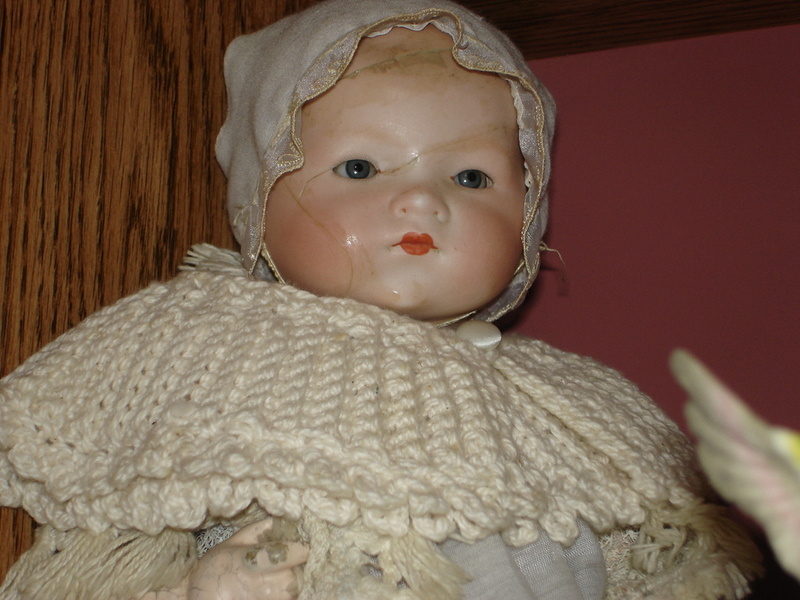 Mom used to make all her clothes, and her lovely ceramic head was cracked and glued many, many times over the years. The flames of memories are ignited by the things we cherish but burn in our hearts and souls. 24 Oct	This entry was written by Laura and published on October 24, 2011 at 7:00 am. It’s filed under Gift, Laura, Memories. Bookmark the permalink. Follow any comments here with the RSS feed for this post. What a great collection of memories!